Syzygium Cumini, jambul, jambolan, jamblang, or jamun, is an evergreen tropical tree in the flowering plant family Myrtaceae. Syzygium cumini is native to Bangladesh, India, Nepal, Pakistan, Sri Lanka, Malaysia, the Philippines, and Indonesia. The name of the fruit is sometimes mistranslated as blackberry, which is a different fruit in an unrelated family. 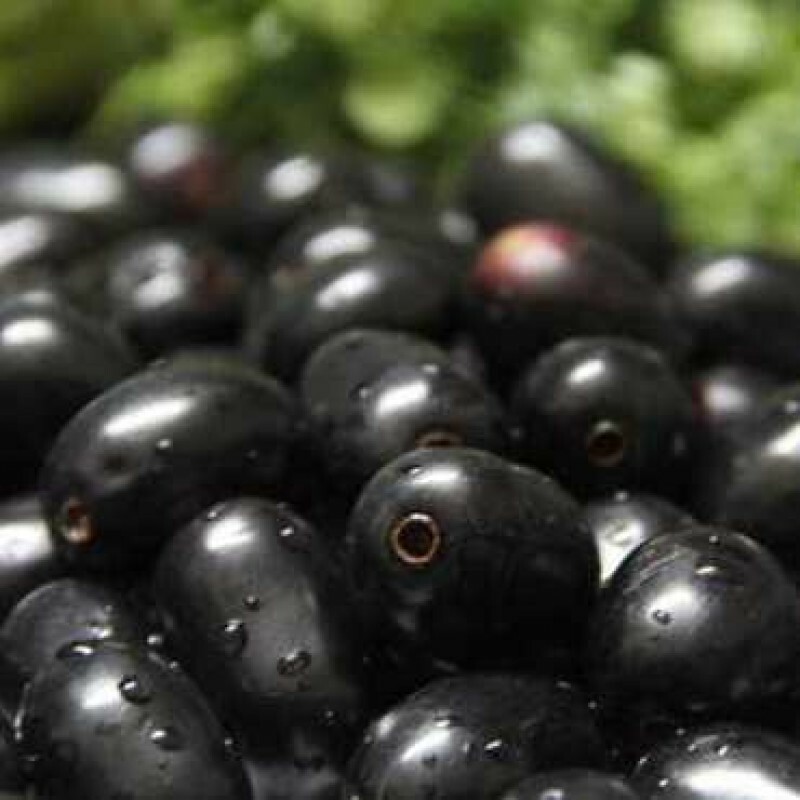 Cumini is also known as jambul/jambhul/jambula/jamboola, Java plum, jamun, jaam/kalojaam, jamblang, jambolan, black plum, Damson plum, Duhat plum, Jambolan plum or Portuguese plum. Malabar plum may also refer to other species of Syzygium. This fruit is called Jamun in [Konkani], Hindi, Urdu and Punjabi, Naaval Pazham in Tamil, Naaval Pazham in Malayalam, Nerale Hannu in Kannada,Neredu Pandu[నెరేడు పండు] in Telugu, Kalojam or Jam in Bengali, Jamukoli in Oriya and Jambu in Gujarat. In the Philippines, common names include duhat in the Tagalog-speaking regions, lomboy in the Cebuano-speaking areas, lumboy in Northern Luzon and inobog in Maguindanao. It is called Dhanbu in Maldives and Dhuwet/Juwet in Javanese. Among its names in Portuguese are jamelão, jambo, jambolão, jalão, joão-bolão, manjelão, azeitona-preta, baga-de-freira, brinco-de-viúva and guapê, always with lower case, the early four derived from the Konkani name jambulan. They are called rotra in the Malagasy language (Madagascar). It is called reyang dut or krian dot in Malay especially in the northern part of Malay Peninsula. Syzygium cumini trees start flowering from March to April. The flowers of are fragrant and small, about 5 mm in diameter. The fruits develop by May or June and resemble large berries. The fruit is oblong, ovoid, starts green and turns pink to shining crimson black as it matures. A variant of the tree produces white coloured fruit. The fruit has a combination of sweet, mildly sour and astringent flavour and tends to colour the tongue purple. The pulp of the fruit, extracts from the bark and seeds is of great benefit when it comes to lowering of blood glucose level. Taking dried extract of the seeds orally, greatly reduces the blood sugar and glucosuria. The leaves and bark are used for controlling blood pressure and gingivitis. Wine and vinegar are also made from the fruit. It has a high source in vitamin A and vitamin C. Syzygium cumini has been spread overseas from India by Indian emigrants and at present is common in former tropical British colonies.